1	Welcome to MyNerja.com, which is owned and operated by Dibbit Ltd, 4-5 King Street, Richmond, Surrey, TW9 1ND. By using our site, you signify your agreement to our terms of service. If you do not agree to these terms of service, you must cease using this website immediately. We reserve the right, at our sole discretion, to change modify, add or delete portions of these terms of service at any time. 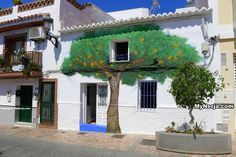 * You understand that all the properties advertised on MyNerja.com are not owned or managed by MyNerja.com. 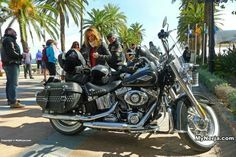 * You understand that MyNerja.com is not responsible for the accuracy of the advertisements on this website, nor the condition of the properties. * You agree to conduct your own investigation regarding any and all claims made by property owners or their agents. * You understand that any contract or agreement to rent or buy a property is between you and the property owner and not with MyNerja.com. * By registering on our site as a property owner, manager or agent, you agree to provide true, accurate, current and complete information about yourself as prompted by the registration process or through contact with our sales representatives. You will maintain and promptly update your online profile information to keep it true, accurate, current and complete. * You agree that MyNerja.com has the right to suspend or terminate your advertisement and refuse current or future use of services if you provide or MyNerja.com has reasonable ground to suspect that you provide information that is false, inaccurate, not current or incomplete. * You will only list content related solely to sale and rental properties that you own or manage and you will keep your available advertisement current, accurate and not misleading or inflammatory. * You are entirely responsible and not MyNerja.com for all information, data, text, photographs, messages or other materials that you upload, post or otherwise transmit via the services. * You are responsible for validating the qualifications of the potential renters and buyers. * You will indemnify, protect, depend and hold MyNerja.com interests, owner, employees and agents and assigns harmless from and against all liability, claims, demands, damages, costs and expenses made by any third party due to or arising out of your advertising content. Any information provided on this site is subject to change and is provided for information purposes only. To the extent permitted by law, MyNerja.com is providing this website and its content on an “as is” basis and makes no representations or warranties of any kind with respect to this website or its content including but not limited to warranties of satisfactory quality, merchantability, fitness for purpose, title, non-infringement of any intellectual property right, or any implied warranties. Due to the changing nature of the information contained in this website MyNerja.com shall have no liability whatsoever for any damages or losses arising directly or indirectly as a result of any of the information accessible via the site not being accurate, complete or up to date. Due to the nature of communications over the internet and the inherent risks of the transfer of data over the internet, MyNerja.com shall have no liability whatsoever for any damages or losses resulting from viruses or the corruption or loss of data or any damage to software or hardware. Whilst MyNerja.com will use all reasonable endeavours to minimise any amount of downtime on the site, due to the fact that MyNerja.com does not have direct control over the servers used to hold data or information on the site and due to the intrinsic nature of websites, MyNerja.com shall have no liability whatsoever for any damages or losses arising directly or indirectly as a result of you or your clients being unable to access the site. Some of the links from our website will link to websites maintained by other organisations. These links are provided purely for your convenience and do not imply that MyNerja.com endorses or supports those organisations, the information on their sites, or their products or services in any way. 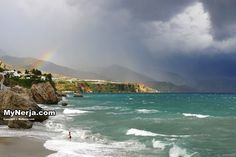 MyNerja.com cannot be held responsible for the content of any external websites that link to or from the MyNerja.com website. 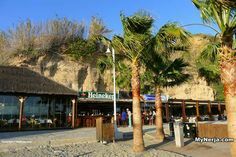 As these sites are not controlled by MyNerja.com, MyNerja.com shall have no liability whatsoever for the content, advertising, products or other materials available on any such sites. We invite you to bring to our attention any material on our site that you believed to be inaccurate, you can inform us using the contact form on the website, or by emailing us directly at the client support email address. All content included on this site, including text, graphics, logos, icons, images, software and source code, the arrangement and compilation of such content and any databases are the property of MyNerja.com and its content suppliers and protected by United Kingdom and international intellectual property laws, including copyright laws. 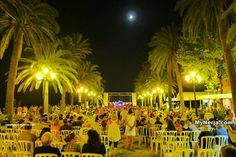 The content and software on this site is to be used solely for providing information relating to MyNerja.com to users of this site. Any other use, including the reproduction, re-utilisation, extraction, modification, distribution , transmission, republication, display or performance, of the content on this site is strictly prohibited. 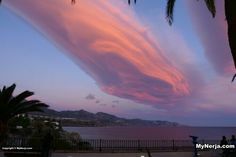 © Copyright 2012MyNerja.com all rights reserved. MyNerja.com reserves the right to deny access to anyone who we believe has violated these terms or any other term of this agreement. MyNerja.com may change, restrict access to, suspend or discontinue this website, or any portion of this website at anytime without notice.